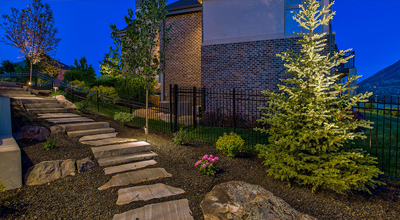 Premium Stone products from quarry to home. 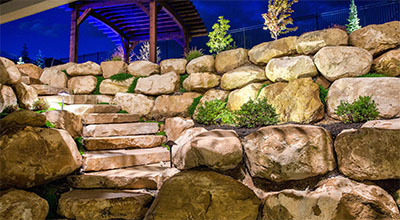 UTLP selects some of the finest stone from multiple quarries both local and nationwide, and offers premium selected products– many sold exclusively– on-site at our American Fork Stone Yard every day. From winding flagtonse pathways and natural slab bridgeways to prominent cut stone staircases and decorative boulder retaining walls, When it comes to selection, we’ve left no stone unturned. 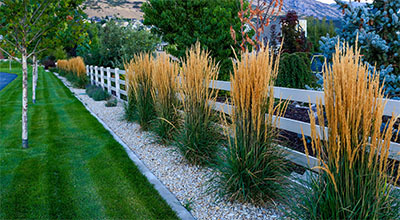 Come see where the professionals purchase their premium stone products and landscape supplies. 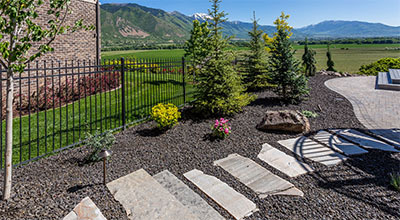 Utah Landscape Products' premiere natural stone products now available to the public. Natural Slab steps are perfect for a native look or rustic landscapting applications. Guillotine Cut Steps are cut and split to provide a clean, consistent face, while providing a classic look. Gorgeous Stone selection for patios, walkways and accent rock. 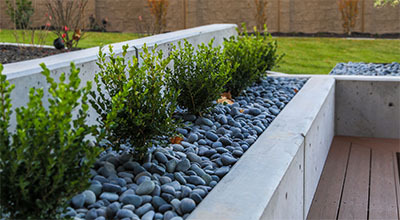 Select rock options for beds, garden areas or walkways. 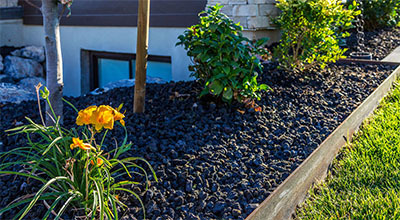 Screened black lava rock for lasting bed color and weed control. Soft, protective and long lasting color for beds and play areas. 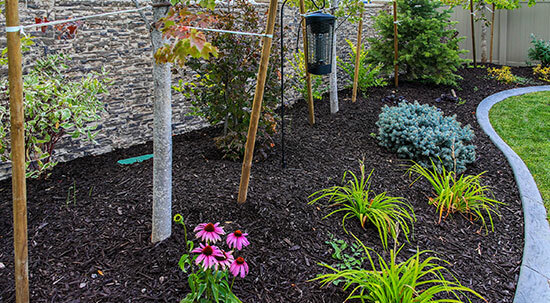 Color Stained bark for gorgeous bed color and weed control. 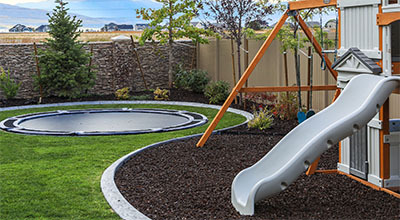 Smooth landscaping pebble with a matte black finish- When dry the product has a deep grey, black matte look that darkens when wet. 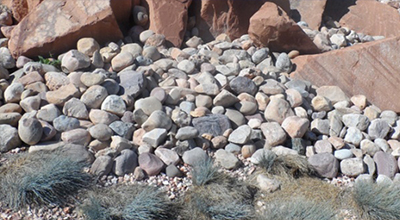 Cobble rock works well for natural stone accents and for creating natural stone features in landscape design. Let us help you determine the quantities you need for your project. ** Please note Fraction values will not work in these calculators. Enter decimal values instead. For instance, 1/4 inches should be entered as 0.25 inches.